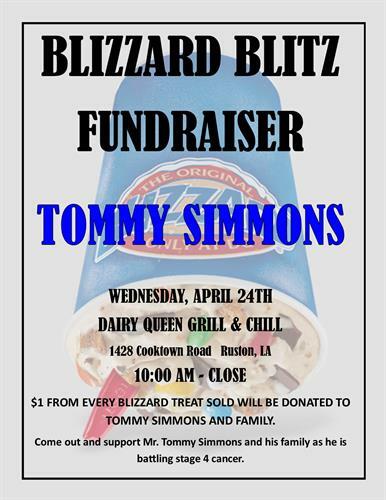 On Wednesday April 24th, Stop by to support Tommy Simmons. Mr. Tommy is batteling cancer. Lets show this family some awesome support! !